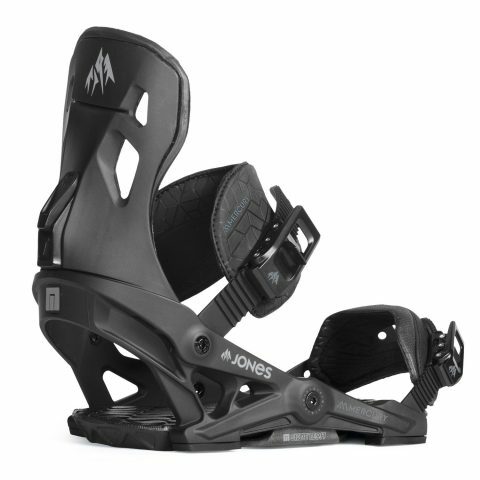 The brand-new Jones Mercury snowboard bindings have been designed for the all-mountain rider who needs supreme edge control and comfort balanced with a more manoeuvrable, medium flex. The asymmetrical Highback shape with Flex Hinge technology dampens chatter and follows the contours of your leg for comfort and to eliminate calf-bite. NOW Skate Tech technology creates a binding that will respond to your every muscle twitch with lightning-fast accuracy.